We are a Gas and Heating installtions, service and repair firm working on small domestic applainces to commercial high rise buildings and are at the ready to serve you, our valued customer. We pride our selves on very strong customer service skills along side our exceptional technical and workmanship skills. If your'e looking for the job to be done right the first time then call us now. 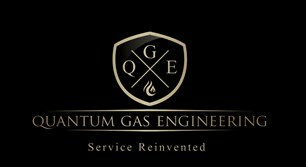 Quantum engineers are apprenticehsip time served tradesmen and are gas safe registered, Hilton our lead engineer has over 22yrs experience and is a "master plumber " (meaning a master of the trade in gas heating and plumbing) and has an exceptional record of high level training with boiler manufactures across Europe. We are Vaillant Advance installers which means we can give you 10 yrs warranty on a new boiler, additionally we are Viessmann Installers as well and can give 7yrs warranty on their boilers. We only install and fit high quailty boilers and equipment to ensure the job is done right and our customers have a first class job.